Also included was a business card with details on how to win products from the monthly box. These beauty drops are made with only two ingredients – organic kernel oil and organic ylang-ylang oil. It is designed to balance and decongest inflamed skin, which sounds exactly like the skin I had when I was a teenager! I was curious about ylang-ylang as an ingredient, so I googled “ylang-ylang skin.” The first result (from WebMD!!) said that ylang-ylang is applied topically for “relaxation, to kill bacteria, and to increase sexual desire! I cannot speak to some of those claims, but I can say that this oil absorbed into my skin quickly and while it left my face feeling nourished, it didn’t feel greasy. This is lightweight enough to be used as a morning moisturizer while still being deeply hydrating if you prefer oils in your nighttime routine instead. This lip crayon is insanely hydrating thanks to the macadamia seed oil, shea butter, and jojoba seed oil, and it also packs a fun punch of color. I think the shade Pink A Boo is really close to my natural lip shade, only a bit brighter. I know my mom would have had no complaints if I wore this lip color, and it applies smoothly and lasts for hours before needing to be reapplied (assuming you don’t eat something super greasy or unwieldy while wearing). Soapy Bliss is a fun bath and body brand (check out these cupcake bath bombs! ), and this body butter is a great introduction. I love watermelon scented anything, and the combination of watermelon and white rose take the fun fruit scent and makes it a little more sophisticated. This is made with mango butter and coconut oil, and I found it to be luxuriously hydrating. A little goes a long way, however, and if you’re not careful you may end up a touch greasy. This bar of soap is made with only three ingredients- water, sea salt, and olive oil. 86% of this bar of soap is olive oil, and it is fragrance-free, vegan, and cruelty-free. I much prefer quality soaps like these when I travel compared to the ones you usually find in hotels, and I like that even though this is small in size it still packs in the moisture while getting you clean. It is not often that this box includes unbranded items, and I am happy that since this is unbranded it doesn’t take up a lot of the value in the box. That being said, I really love these face masks! I received something similar in a recent Pink Seoul Box, and the idea is that this is a compressed sheet mask that you drop in your liquid of choice (toner, essence, tea…) to have your own DIY mask. I was inspired by the info sheet, so I made my first mask using freshly brewed chamomile lavender tea with honey in it, and I left it on my face for about 10 minutes. These sheet masks dry out a lot more quickly compared to the prepackaged ones, but I love that you can really customize it to meet your skin’s needs. The Verdict: I look forward to receiving this box every month! Even though it is geared towards teens, I find myself loving the curation. 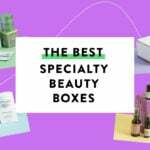 Almost every month a full-size skincare item is included too, and the team over at The Better Beauty Box does a great job selecting quality skincare items that work for almost everyone. Value-wise, I calculated a value of $56.25. That is more than double the cost of the box, and I think it is an awesome value for an ingredient-conscious box. This box does look really nice. I’ve enjoyed some Skin Owl products…I think it was from Pearlesque one month? Agree with you about traveling with my own products and skipping the hotel toiletries, however, we’ve been getting lucky with Crabtree & Evelyn and L’Occitene. The good thing about bringing little bars like this, though, is that it really helps keep luggage smelling nice. Dryer sheets help for that, too. Great review! Although I am CONSIDERABLY older than the target audience that this box caters to, I’ve been impressed by the great items that have been included in each of the boxes that you have reviewed. I’m actually considering subscribing and trying it out for a few months as lately my skin is behaving like a teenagers (i.e. Oily and acne prone). Ditto from this 44-year-old. This box seems fresh and fun – a good value all around. Thank you Jessica for your great review!